Last week I hit on a great story opening. OK, I say so myself and all that, but I was impressed with my skill and elegance. And a few beta readers agreed – so maybe it’s not just me being overconfident. A great beginning requires a great development. What follows is some notes on my mental processes from themoment I realized I had a great hook. Some insight in themind of a madman, in other words. A great beginning requires a great development, I said. A great story requires a great character. So I looked around in my HD folders, and I summoned back from oblivion the character of Steve Randolini, the narrating voice and hero of Interesting Times, the story that got the second prize in the Hydropunk competition. I like Steve a lot – he’s cool, witty, elegant. I’ve been feeling very bad at the idea that the Hydropunk story will be his only outing. Now, the original Steve Randolini was inspired by Rocco Vargas – the astronaut-turned-nightclub-owner in the fine, very fine post-modern pulp comics by Daniel Torres. Incidentally, I love Torres’ work, and will have to write apostabout him, as he’s certainly a major influence for me, and has been for two decades. Anyway, the Hydropunk story has its own setting and development, but it would be rather easy to recycle the main characters – not only Steve, but also his partner Bonnie Avery – shifting the action from uchronic sci-fi to straight pulp. Which leads me to my old crush for Indiana Jones. I’m a notorious Indy fan, and I’d love to write stories about an adventurer dealing with ancient mysteries and lost treasure. Now, a few years back, I wrote a series of treatments for a hypothetical comic series to be called Huaqueros, about a group of university dropouts working as grave-robbers-for-hire. Nothing came out of it, but the research I did is still there. What attracts me to the role of the huaquero, the grave-robber, is the moral ambiguity. 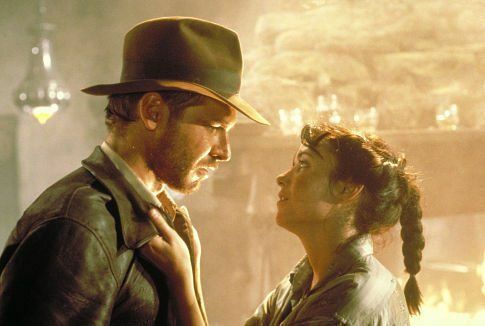 A moral ambiguity whose loss is, to me, the greatest problem with the Indiana Jones movies. I mean – in the Raiders movie, Jones is not supposed to be such a good guy. And isn’t it great, in Raiders Indy has to prove himself better than Belloq, instead of being automatically on a higher moral ground? Toning down this darkness – as it was done in the later Indy movies – was for me a big let down. So, if the new Steve Randolini is to become a dealer in lost artifacts and cursed items, I’d like to keep him on the wrong side of the law, and on a debatable moral ground. Not an anti-hero, but a reluctant hero. He will have to work hard to do the right thing. Also, somewhat in line with the original concept for Randolini, I’m giving him a very small, but significant bit of mystical background. But I always loved about The Shadow was Kent Allard’s backstory – and without going all the way down the “I learned some mystical mumbo jumbo in Tibet” road… why not give my character a push in the weird/supernatural direction from the very start? Why not give him a good reason to constantly stumble on weird supernatural stuff? Also, giving him some weird backing and some frankly disquieting allies, could help bring character, background and setting together, and help the stories acquire an original, slightly unusual flavor. And the mix could be fun enough to keep me interested. And hopefully keep people reading! Now I only have to write the damn thing. And then find me a publisher – or go the self-pub way. 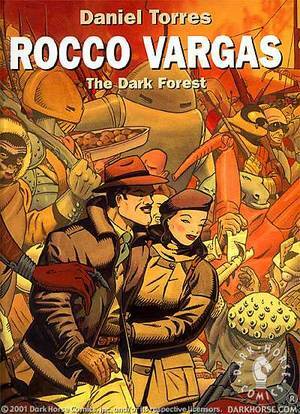 Categories: Writing | Tags: characters, ideas, Indiana Jones, Kent Allard, postaweek, Rocco Vargas, The Shadow, writing | Permalink.